← Will the United States of America be a Sheep Nation? As many of you who read my writings know, yesterday at the Jerusalem Global Gathering (www.watchmen.org/live) thousands of people from many nations broke out into prayer for the United States of America. Messianic Jews, Egyptians, Africans, Asians, French, Russians, English, Canadians and more. The Americans present at the gathering knelt on the stage as the nations stood to fight for our nation and national election. 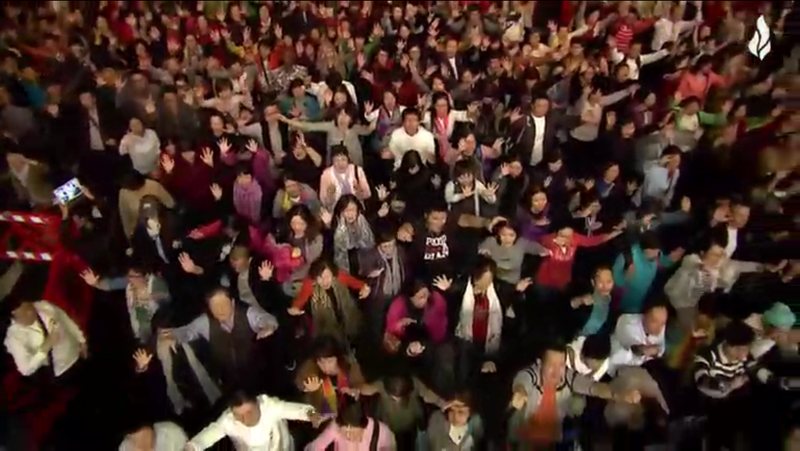 The Chinese ran to the front of the stage by the hundreds to push in prayer for America. Then the entire place broke out praying in the Spirit for our nation. It was incredibly powerful and caused me to weep uncontrollably. Historically the United States has not been popular among the nations of the world. This “dislike” even exists in the body of Christ. As I’ve traveled to different countries this has been very apparent. But yesterday we witnessed the Lord turn the hearts of the nations to His heart for the United States. They prayed, wept and pushed in prayer for our nation. This left me undone for hours after. The tables turned and “instead of our shame we received a double portion of honor and love”. What happened in Jerusalem yesterday shifted things in the spirit realm and no matter the outcome of the US election we will never be the same as a nation! The nations came to our aid and heaven responded. The government of God spoke and birthed His purposes and our great “Commander and Chief”, King Jesus, has responded. The government is upon His shoulders and His glory will be seen in our nation. (Copy and paste into your search engine) Be sure to move the time indication to 03:05:45 and pray together with the nations! The tables have turned in the spirit realm and the remnant of God’s people in nations have turned their hearts toward us and God has not forgotten us! Thank you Israel for your prayers of support. We are very fortunate to have you as our friends/allies. It will be wonderful to have a Christian in the White House again, that we may get back to our Judeo/Christian values. It has been very difficult for all of us these last several years with the corrupt/evil Obama adminstration in office. We will continue to hold you in OUR prayers; That the G-D of Abraham Bless us all. Thank you again, so very much for interceding on behalf of the USA!! As a Christian I am amazed and ashamed at how we can demonize one person and lift up another person when they’re both human beings subject to sin and failure that we are instructed to pray for in the word of God. Christian leaders we need to repent. We have not been obedient to the Word of God. We have not prayed for our leaders. We have slandered them we have demonized them we have been bigoted against them and lf we don’t repent our prayers will not be answered. We must stop playing games with God and do what the Word of God says without respect of person.